There are many situations that may leave you wondering how to sell a car fast. In the past, you may not have had a great experience with selling a car for the price you want, let alone selling it fast; however, in this day and age, there are many more options. Forget listing your car for sale in the classified ads and waiting for someone to call you about it. The fastest way how to sell your car these days is by using the services of a car removal company. When Would I Want to Sell My Car Fast? Most times when you want to sell your car, you aren't in any rush. In these types of circumstances, you can consider trading your car in for a new one if it is in good condition, or you can try to sell it on your own. However, there are some situations where you can't or don't want to keep your car around and must sell it fast. This is most commonly the situation following car accidents where your car is either completely totaled or you can't afford or are not willing to pay for the repairs. If you have an older car to begin with, it usually isn't cost effective to make major repairs following an accident. Car insurance policies often limit how much money can go towards repairs based on the car's worth. If the repairs exceed its worth, they won't pay much if anything to fix it. Without the help of insurance, you simply may not want to shell out money to cover the repairs. In this case, you need a new car to get you around, and quick. Not only will that damaged car cost you money to keep it insured and registered (even if it is only parked in your driveway) but you also need some cash to put towards a new car. This is precisely way it is important to know how to sell your car quickly, in the event you are ever in this situation. It may not make sense to you but these companies will buy your car even if it is damaged. They aren't going to buy your car so they can drive it as their own or so that they can sell it to someone else to drive around in. 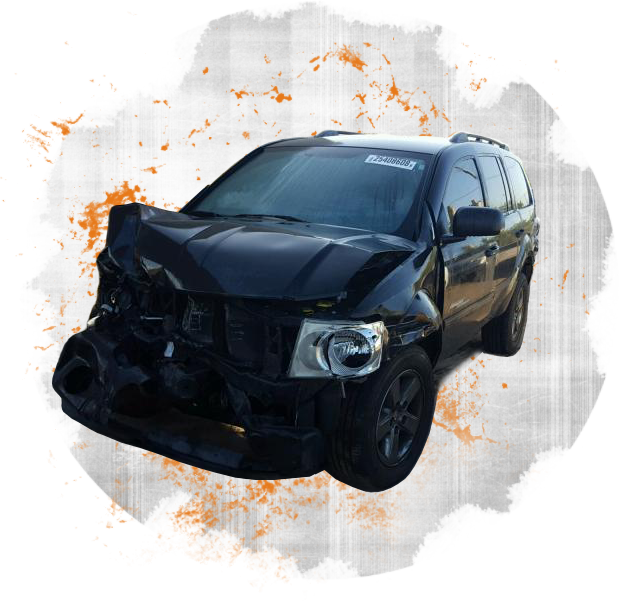 They will buy your damaged car so that they can resell any and all salvageable parts. Tires, seats, engine parts, car doors and any other parts that are still in good condition will be removed and then repurposed. Whatever is not usable will be scrapped and added to the junkyard. While you will get more money when your car is in better condition, you will still get paid for a damaged car. If your car doesn't start, no problem. It is easy to find a car removal company that will come to your home and tow your car away. Again, since the company is only looking to take parts from your car and not use the car as a whole, they don't care if it doesn't start. How to sell a car for the best price possible depends on the details of your car. Specifics including the make, model, year and style details will be the first set of criteria to define the value of the car. Then, then next set of information pertaining to the car's condition will be used to find its best value. The damage that is mostly exterior can yield a higher cash offer since most of the important car parts can be salvaged. However, if there is frame damage your quote will be lower. If you have all 4 tires that are undamaged and the engine parts work, you will get a better offer even if the rest of your car is junk because these parts can be resold. You will also get more money if you have the keys to the car in your possession. If you don't, they will still buy your car as long as you are the owner, you just won't get the best price for it. How Fast Can I Sell It? Filling out the form for a quote only takes a matter of minutes. After it is submitted, a customer service representative will usually call you to follow up within a matter of hours. Once you agree on a price, the pick-up of your car can usually be scheduled within a few hours. The tow truck driver will show up for the scheduled appointment to take away your car and to hand over the agreed upon sales price. This means you can possibly sell your car and receive payment in just one day. It doesn't get any easier than that. Never do business with a company that doesn't have some experience in the field. Furthermore, they should have a solid reputation with the better business bureau. Make sure that the company is willing and able to come to tow your car if your car isn't drivable. Some companies will only allow you to drop off your car at one of their shops. It is also possible that you will be out of their zone location and not able to tow. If you find a company that will tow, make sure that they will tow for free. You shouldn't have to pay for your car to be towed away when they are the ones who want your car. One company that fits this bill is 1888 Pay Cash For Cars. Request a quote from them today to buy and remove your car by tomorrow!